So, anyone find any really decently priced wheels to use for winter with the Brembos??? The SS/SC wheels won't fit without insanely big spacers due to their design. You need to find 17" SS/NA wheels, they fit with no spacers. Look up MARIN007's gallery to see pics. I've already preordered a set of them for my car (I got a great deal). They actually look like really nice wheels. It's almost a shame that they will be going on for winter! I know a guy so I'm getting them for less than $140 Canadian each (his cost). I'm not sure what they retail for normally. You US guys should get it at much less than we can. 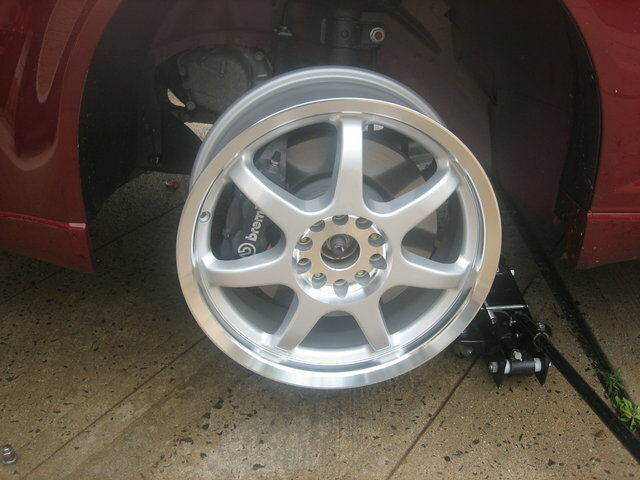 Has anyone tried the 17 inch G6 steel wheel? No steelies fit, period, unless one has somehow been custom-designed since last winter. If you want a set of winter wheels for the SS/TC, you're going alloy. People have actually said that the GM steelies off of the G6, Malibu, Astra do work. Never tried it myself because I couldn't find any locally. I found these rims and was wondering if you know if they work with the factory lugs or if I will indeed need to buy a set of lugs for these. Sorry man, I haven't checked this post for a while. I just picked up the rims and tires yesterday and they are being mounted together in the next few days. I'll post pictures and let you know if the stock lugs work or not. Thanks I actually got my rims in a couple of days ago. I am not getting tired mounted on them till the end of this month though. 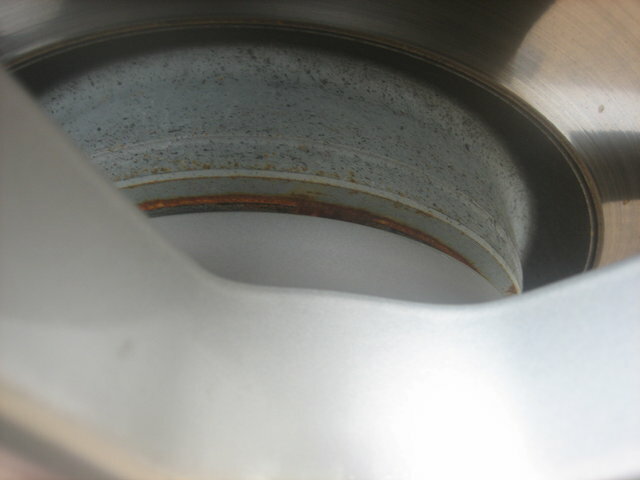 I was going to do a quick test fitment this weekend to check clearances and what-not as well as the lugs. Check the wheels and tires section. There's some reasonably priced 18s that fit no problem. As far as 17s go, I don't know of any offhand that don't require the 3mm spacer. Who sells the spacers ? i have a 2006 pontiac g6 heavily modded and i have the brembo brakes getting ready to put them on. they do fit the 17 in rims. you just need a 5mm spacer. As far as the original question goes, you need aftermarket lug nuts for it to work. 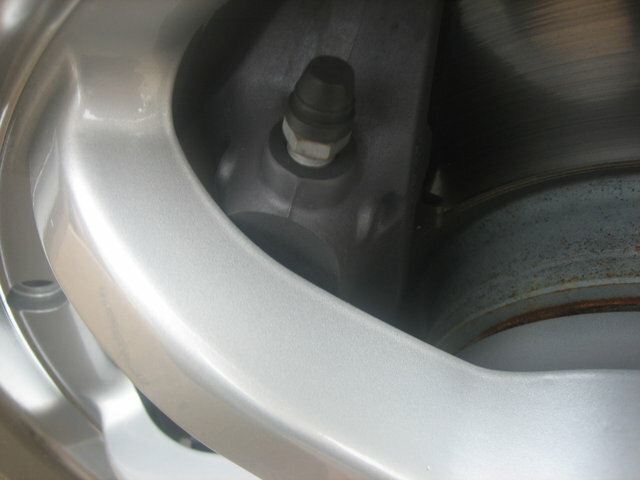 The hole is too smal for the factory lug nuts to fit in the hole. Okay, thanks for the info. I don't mind getting spacers for this set up as opposed to returning everything and starting my search over again for wheels. Do you know roughly what size spacers will be needed? If not, I'll probably do a test fit myself this weekend. How do you determine the spacer size? Everyone still looking for 17s should check out my wheels - BSA Model 264. Only needs a 3mm spacer... Then again, it might fit without them, I think it might JUST clear. I accept: Just a heads up to all considering upgrading to the new 2008 Cobalt SS Brembo brakes. According to the GM engineers, 17” is the smallest size wheel that will fit over these brakes. They guaranteed me that they will fit. I ordered them up with a set of snow rubber and it included hub-centric rings and the lugs. They won't ship for a few more weeks yet, so once I get them I'll test fit one and post my results. nice, where in Jersey are you?? Just northwest of Somerville right off RT78.